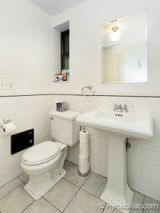 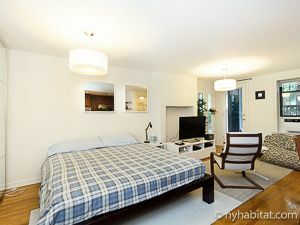 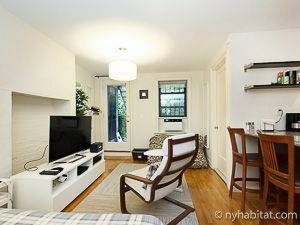 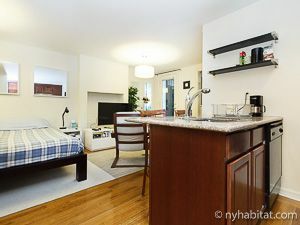 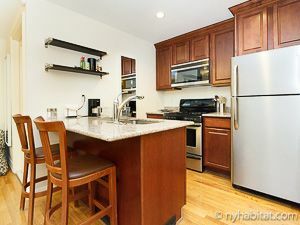 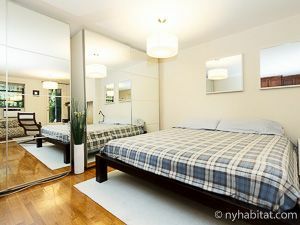 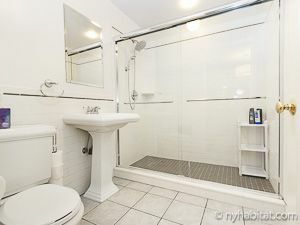 Welcome to this fully furnished studio apartment in the New York City borough of Brooklyn. 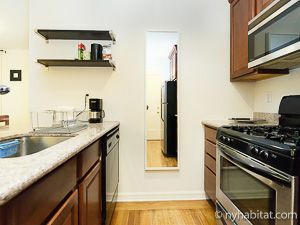 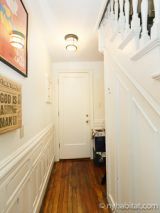 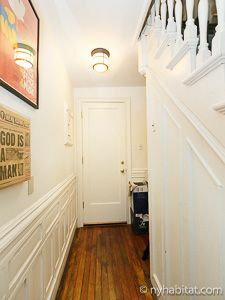 You will find it at the corner of 13th Street & Prospect Park West, in the neighborhood of Park Slope, on the ground floor of a townhouse. 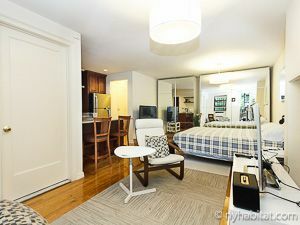 Find wall-to-wall harwood floors as you enter this fully furnished studio apartment. 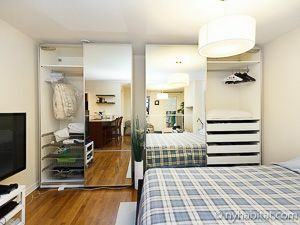 The living area features a double-sized bed and two large closets for storage space. 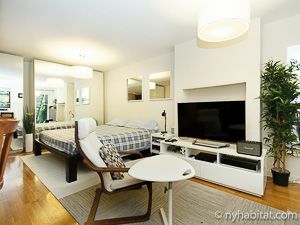 The other side of the room offers a sofa and flat-screen television. 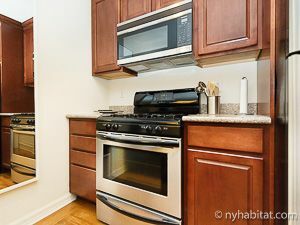 The open-style kitchen features stainless-steel appliances and all the necessary cookware and dishware. 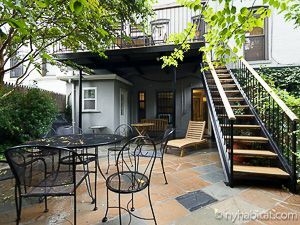 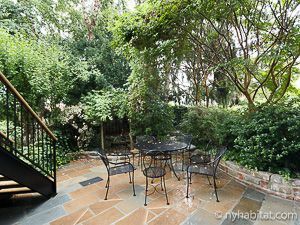 Enjoy the shared garden in which you will find a table, chairs and a lounge chair.